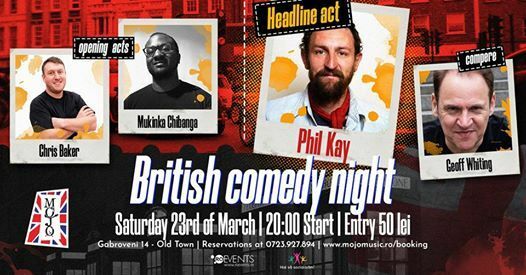 Saturday, 23rd of March: 8 p.m. Mojo will once again be hosting Romania's only British comedy night! Join us to see some of the best comedians from the UK. 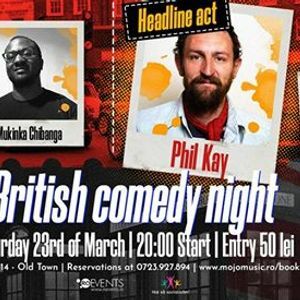 Guest Act: Mukinka Chibanga - Mukinka will entertain you with his hilarious stories and tales from his 5 years in Romania. ❗❗❗ Attention: Show starts at ? 20:30.